Visiting a bar or restaurant is about the complete experience, the food and drinks are a piece of it but so is the company you are with, the conversation, the jokes, and the memories you make. Having great food, drinks and service enhances the experience, while the lack thereof can make it a memorable night for all the wrong reasons. If you look back at your favorite restaurants and bars I’m sure they are places you have had great meals (hopefully with some great beer) but they are also places where you made great memories with friends and family. A place that had special memories for me was Audubon Circle in Boston. One night almost four years ago I met a girl for a drink at Audubon Circle. I was impressed when she bypassed the wine/cocktail menu and ordered a craft beer, and almost four hours of conversation later I was smitten. This ended up being the first date I had with my wife. 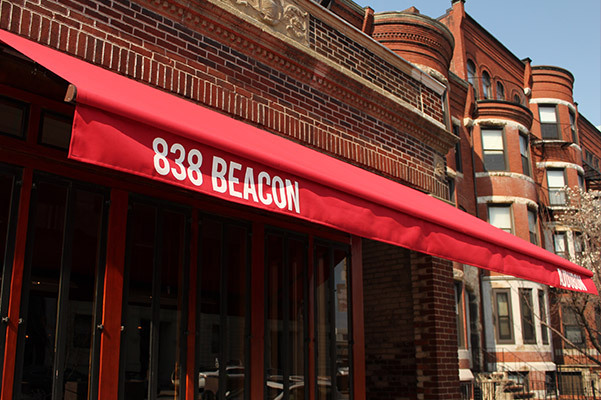 We had frequented Audubon Circle since, always enjoying the menu and the excellent variety of beers, and we were both a little nervous to find out the business was going under new ownership and being re-branded as Audubon Boston. This last weekend we stopped by to check out the new restaurant, and out fears were quickly alleviated. The space looks similar, the back left dominated by the large bar with tables up front and to the right and a patio out back. The removal of the large oddly-shaped table in the front (and it’s sharp edges) was a nice improvement. The MENU recalls some old favorites like shareable apps and diverse salads and sandwiches, but has been updated. The BBT sandwich with cheese, bacon, basil, and tomato on a rosemary focaccia is a must try. Everything we ate was well prepared, tasty and reasonably priced. We went before a Red Sox game and it was on a completely different level than the overpriced and unimaginative food we would have eaten at the ballpark. 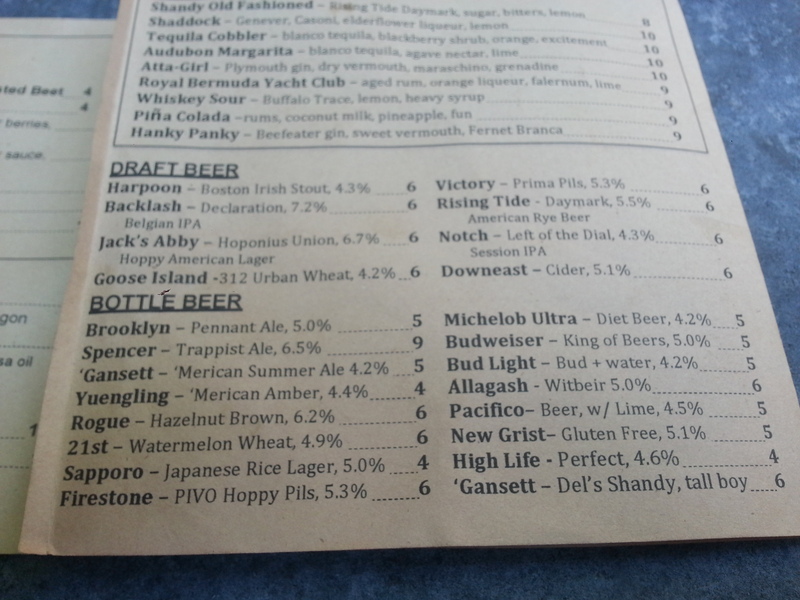 Another thing that hasn’t changed is the well crafted beer menu. The current menu was clearly geared towards summer weather, with refreshing offerings like Notch Left of the Dial, Victory Prima Pils and Rising Tide Daymark. Those looking for something a little stronger could choose Jack’s Abby Hoponius Union of Backlash Declaration. The bottles added some diversity with Allagash White, Spencer Trappist Ale, 21st Amendment Watermelon Wheat, Narragansett Del’s Shandy and Rogue Hazelnut Brown. There are also a number of macro-brews, but it was great to see descriptions poking fun at them like “Bud + water” (Bud Light) “Diet Beer” (Michelob Ultra). All-in-all Audubon Boston has kept many of the things my wife and I loved about the old restaurant while adding some fresh touches. I highly recommend stopping by before/after a Sox game, or any other time you’re in the area!